Almost every country that has a thriving tourism industry is still able to have certain locations and areas that remain unspoiled by commercialism. These places that local residents want to keep quiet about are often those that best reflect what particular countries are all about. Considering the size of the country, much of Australia has already been discovered and is well-known by tourist operators and holidaymakers around the world. We managed to find a few beautiful places that remain off the radar, however. Be sure to visit them quickly, as once the secret is out they will start to be overrun. Tasmania has long been a poor cousin to the rest of the Australian states when it comes to tourism. Overlooking this island, however, is a crime that you should ensure you aren’t guilty of committing. While the weather might not be as warm or predictable as the mainland, the landscape is perhaps the best in the entire country. 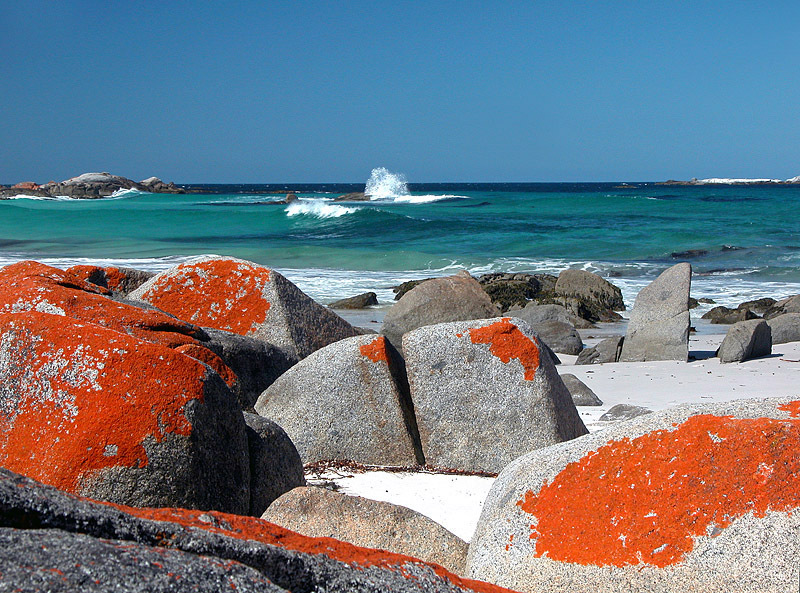 Our recommendation is to try the Bay of Fires walk, which will take you around the north-eastern tip of the island in around four days, offering you the chance to camp or stay in beautiful wooden lodges. The beaches in and around the Western Australian town of Esperance are among the very best in the entire world, let alone Australia. Esperance is actually relatively well-known, it’s just that being in a remote location 9-hours away from Perth, not many people see it as a must visit spot. There is no doubt that they are missing out, however, on the myriad of turquoise shallow waters and perfect white beaches as well as the lakes and nature reserves that populate the area. Esperance is definitely an experience worth heading off the beaten track for. The small village of Broken Hill is in the remote north-western portion of New South Wales. Tourists can either venture here themselves via campervan, car, or train, or head out on a specially organised trip with the areas’ postman, who delivers the mail, food, and other essential supplies to this true outback outpost. While it doesn’t sound like there is a lot going on, the village has a rich mining history and there is much to explore, while nature trails and reservoirs are also situated close by. How can these be a hidden treasure, you ask? Well, the problem with Sydney is that all the tourists head to Bondi beach and think they have seen everything. For a more secluded haunt away from the crowds at the popular areas, try out Palm or Bronte beach, both of which feature beautiful clear waters and golden dunes tucked neatly away from the stresses of city life. This article was written by Transfercar. Transfercar is an online relocation service providing cheap, but usually free, campervan and car hire in Australia.